Keith, Magwira, Fr Bundi and Fr John appreciating the way Chipunga Farm takes care for its Nursery while still at the nursery bed. The Chief Lending Officer for Missio Invest Africa Mr. Keith Polo and the Regional Coordinator Fr. 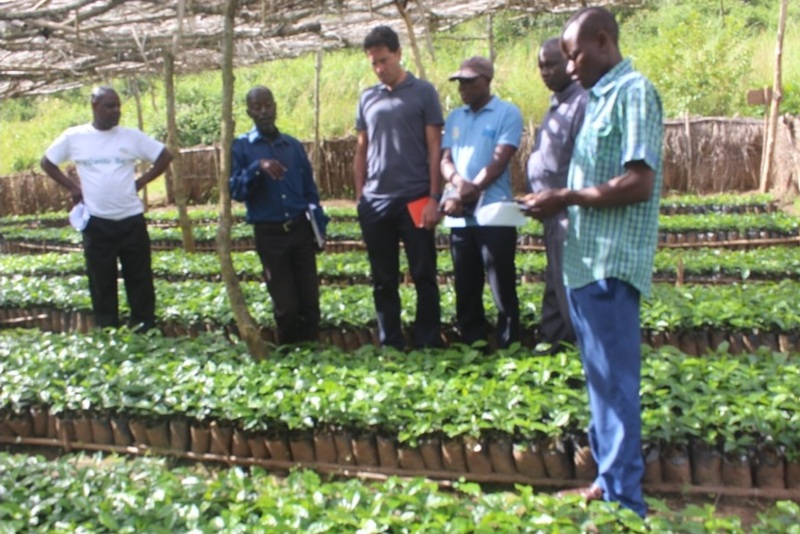 Celestino Bundi Mutea recently visited Chipunga Farm Limited to check on the progress being made at the farm especially on the two main crops, coffee and macadamia. 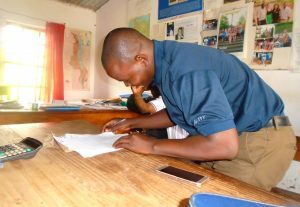 The Diocese of Karonga acquired the farm with a loan obtained from Missio USA to engage into serious agricultural production as a drive towards self-sustainability. Currently most activities of the Diocese are funded by partners. 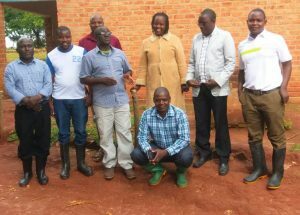 Activities on the farm began immediately after the farm was handed over to the Diocese on 4th January, 2018. 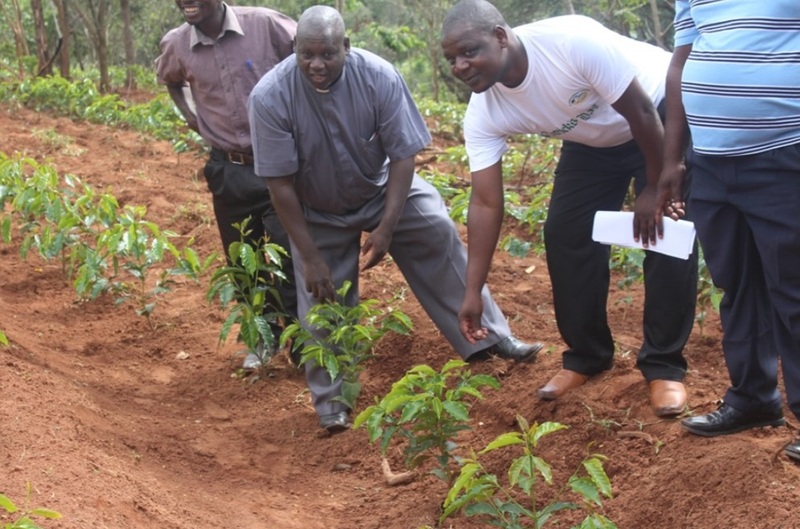 The Diocese has planned to invest in coffee and macadamia nuts production. 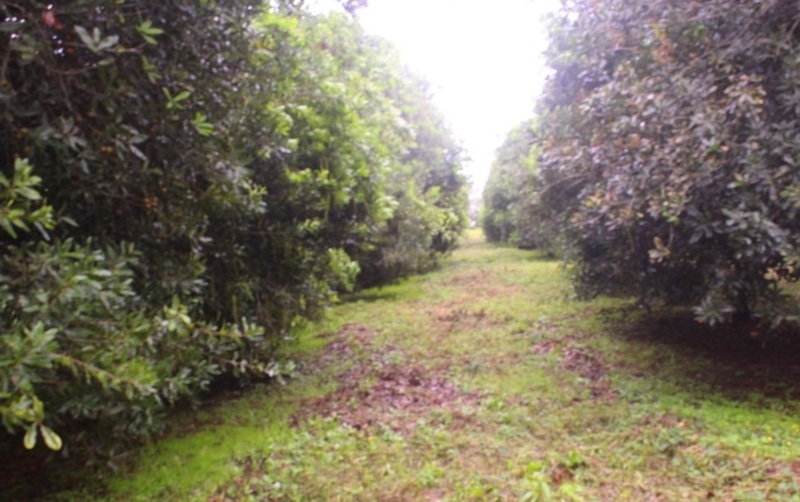 The farm covers an area of 286.876 hectares and the Diocese intends to have 150 hectares of coffee and 100 hectares of macadamia nuts. 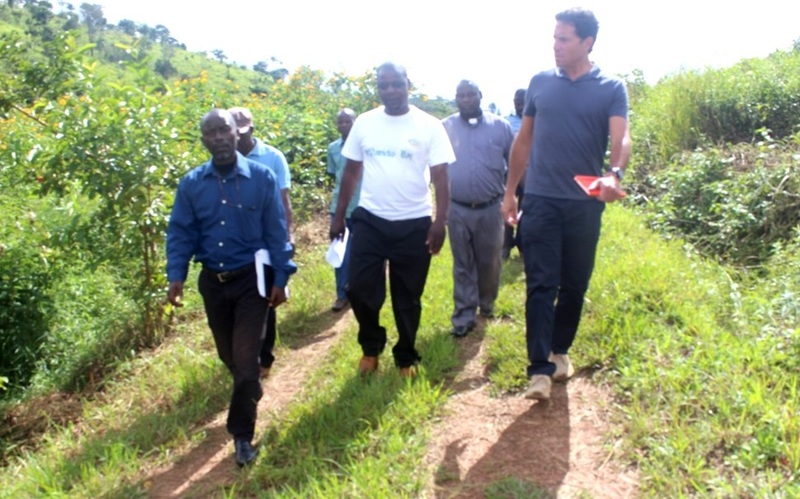 During the visit to Chipunga Farm, Polo and Fr. 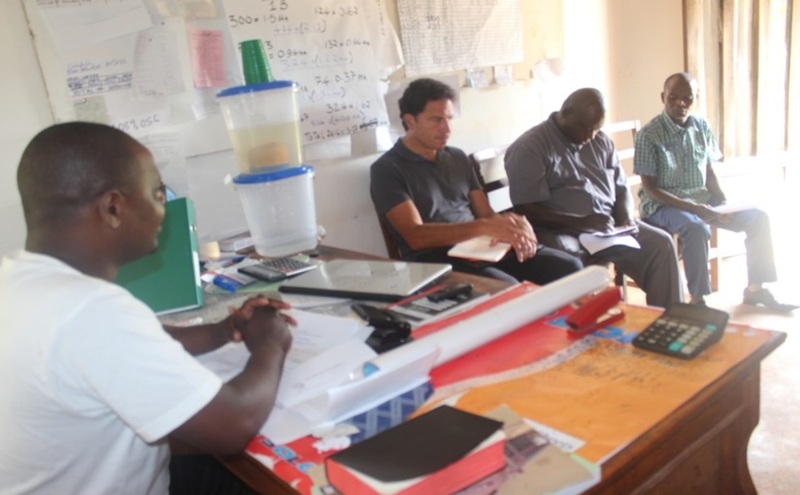 Bundi were accompanied by Father John Chitsulo of Blantyre Archdiocese and Mr Duncan Magwira from the Episcopal conference of Malawi who is currently the coordinating person for Missio funded projects in Malawi. 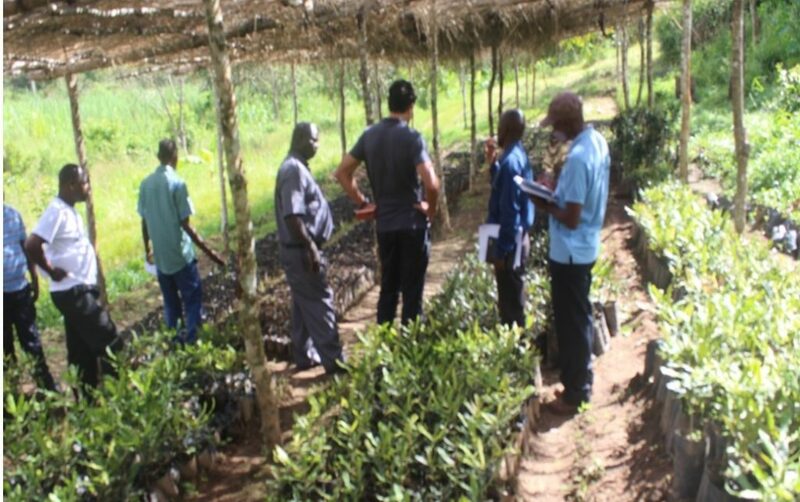 Stephano Nkhata gave background information for Chipunga Farm to the visitors and later on supported by James Kasambala went to the coffee and macadamia nursery beds to show them what we are actually doing on the ground. About 48 000 seedlings of coffee have been raised and others amounting to 40 000, seeds of coffee have been sown on a nursery bed still for the same purpose. 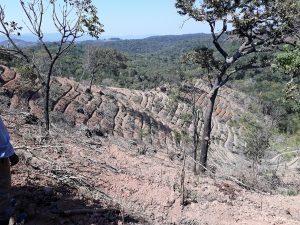 The farm has a yearly target of 20 ha of coffee each year and one ha contains 4 000 seedlings on a one meter spacing depending on variety of the coffee. Keith Polo and friends were later shown the nursery for macadamia nuts. Macadamia nuts take about two years before being transplanted into the main field. 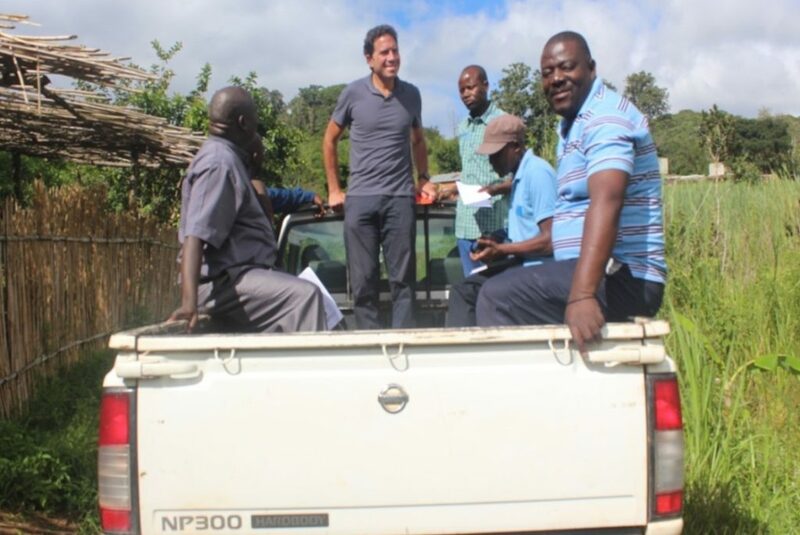 After this, the visitors were taken to the main field where the farm has this year planted 20 ha of coffee.The picture below shows group members on a farm vehicle on their way the main field. The visitors were quite impressed to see the pace and progress of the major activities of the farm. They advised the team at the farm on areas that need constant attention.